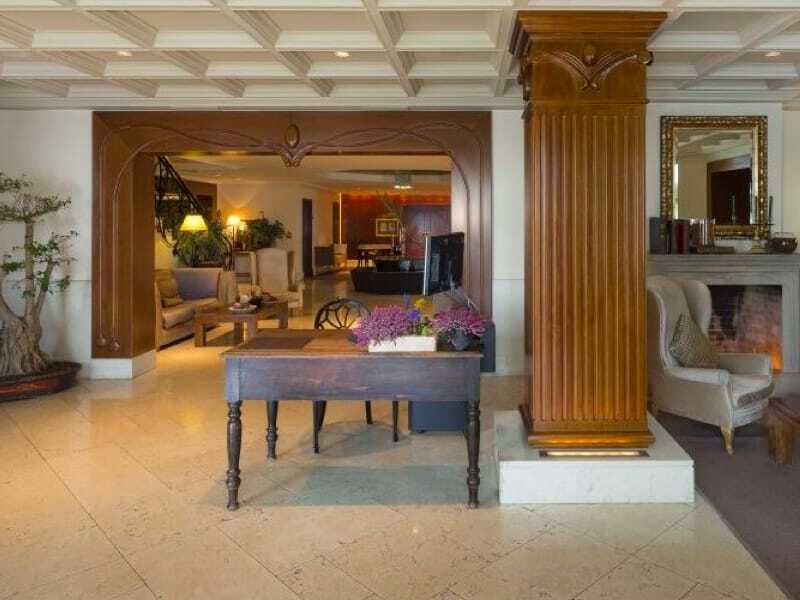 The marble lobbies in luxury hotels are one of the most significant and relevant areas. The reception is a welcoming place and the area where the hotel’s management wants to project an excellent first image. So all the aesthetic and conceptual efforts are poured into this space. Marble is a symbol of elegance, versatility and, exclusivity, and it is a common aesthetic and functional resource in luxury hotels. 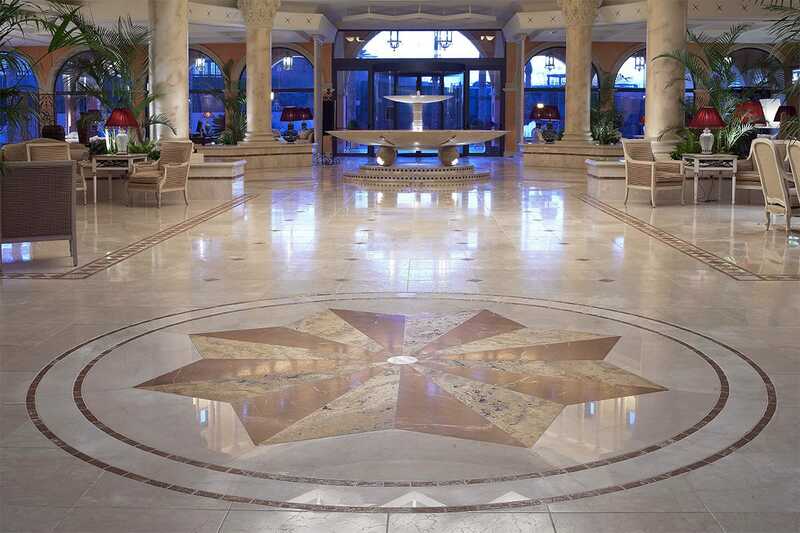 A spectacular marble compass rose articulates the lobby of this beautiful hotel in Fuerteventura. Its design aims to recover the most traditional concept of marble. To cover the magnificent floors of this great room, TINO Natural Stone used Perlino White, Crema Bianco, Travertine Classic and Alicante Red. 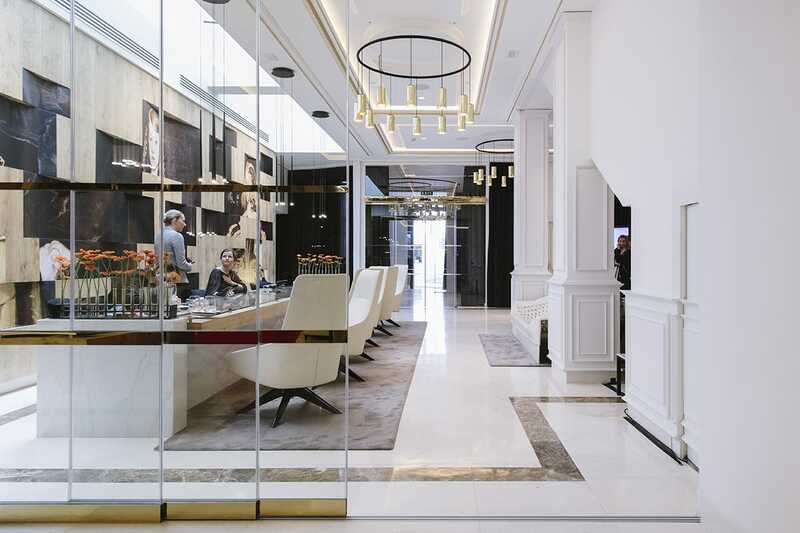 In this case, not only the pavement is made out of natural stone but the marble has been applied also to the furniture, creating an impressive sculptural piece for the reception desk. It is an example of versatility impossible to achieve with other types of materials that are not natural. The marble used, called Atenea White, has a soft white base furrowed by subtle gray veins, a concept of an absolute tendency in urban and cosmopolitan spaces. TINO used Parador Yellow and Yellow Triana for the floor covering the interiors of the hotel, creating an atmosphere of intimate and refined golden reflections. Triana Yellow marble is a natural stone that, due to its chromatic characteristics, remind us of bamboo. For this reason, and for its incredible beauty, it is so appreciated in Asia. As a marble supplier in Barcelona, TINO Natural Stone used Perlino Bianco, Macael White and Crema Parador in the coatings of the hotel La Florida. In this space, with a slightly bucolic concept, we see how a marble floor, with a somewhat aged texture, can contribute to creating a cozy and timeless atmosphere. 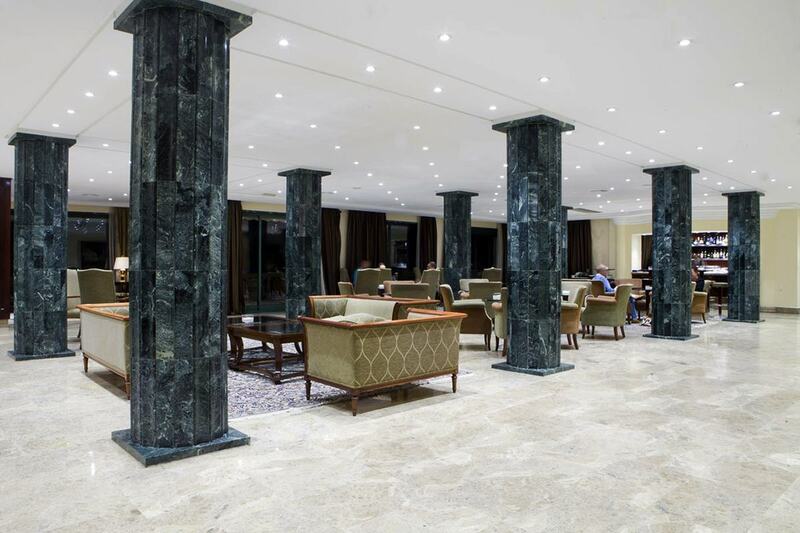 The location of this hotel is Mallorca, and its lobby shows a balanced combination of gray marble and exotic marble. A luminous and peaceful floor made out of Pacific Gray marble serves as canvas for the sober columns made out of Guatemala Green. As a marble supplier in the Dominican Republic, TINO Natural Stone applied Crema Parador, Parador Yellow, Travertine Classic, Triana Yellow, Macael White and Oriental Green in the Bahia Principe Cayo Levantado Bay. The designer used Macael White and Oriental Green for the colonial style floor. 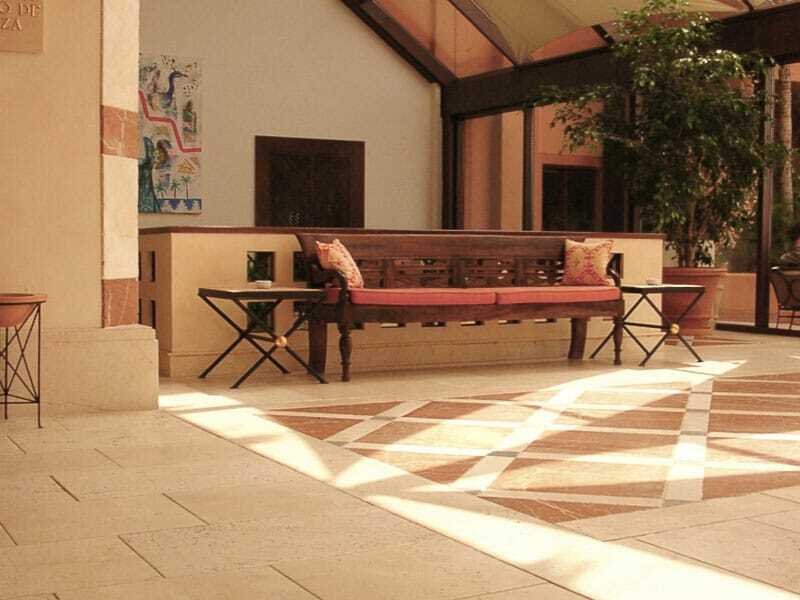 For this Lanzarote resort Crema Parador, Parador Yellow, Travertine Classic, Coral Rose and Oriental Green were used in interiors, bathrooms, and rooms. In the image, we see how the designer highlights the vital role that tropical plants play within the space with a classic “checkerboard” pavement in cream and green tones, very balanced with the environment. We recommend visiting the page of this project because of the great skill of the designer in the combination of textures and tones of the natural stones used. 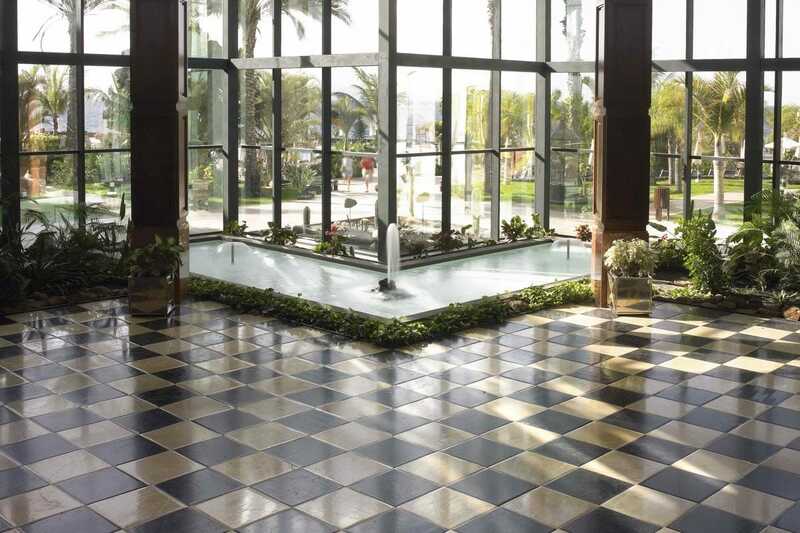 As a marble supplier in Estepona, TINO Natural Stone applied Royal Cream, Alicante Red, Gold Travertine and Crystal Travertine in the Kempinski Estepona. The light of the large windows lights up the beige tones of the pavement creating a cozy atmosphere when entering the hall. Do you want to add a marble lobby to your project? Contact us. The luxurious 5-Star Hotel One Tower Bridge (London) chooses our Black Dune natural stone.